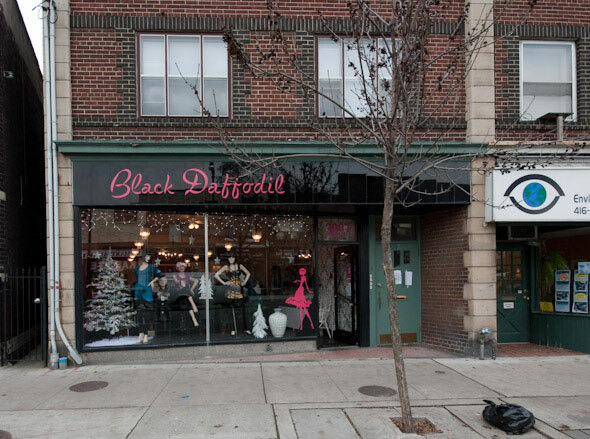 Black Daffodil brings a much-needed sartorial spark to the Junction . 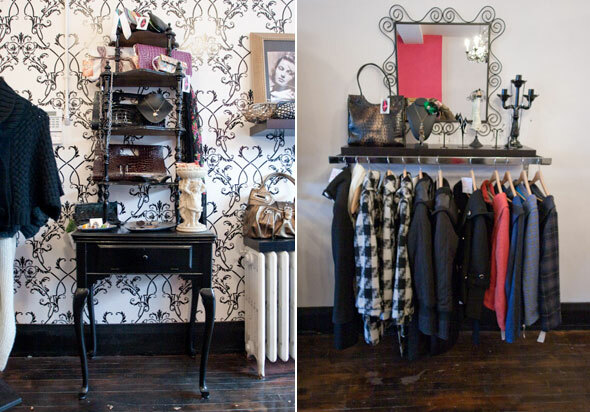 The pink-and-black boutique was opened by Cythia Rea in September to house her eponymous Black Daffodil collection along with an impressive number of Canadian brands. I had only heard of a couple, but found a few Toronto designers worth checking out. NaMoDa 's handpainted frocks ($139) have a nice DIY feel to them without feeling sloppy, and I definitely coveted the scarves splattered with mauve and teal paint ($35). 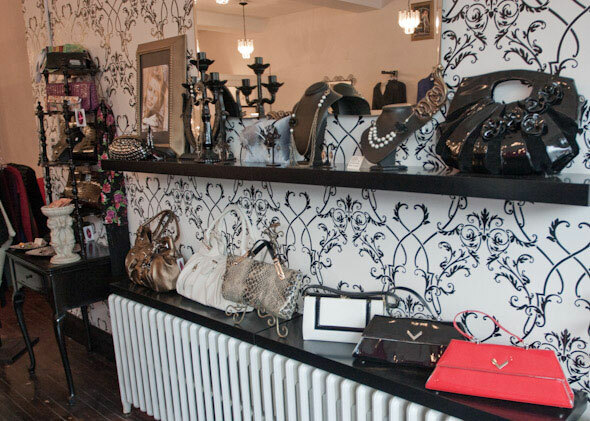 I also loved Baggage's purses made from recycled leather ($240). The simple shapes and buttery leather made the pricetag worth it for a lot of years of use. There were some other great foundation pieces from Hypercube , including a slouchy gray tie-neck ballet top with chains draped from the neck ($69) and a white top with a drawstring neck also adorned with heavy links ($98). 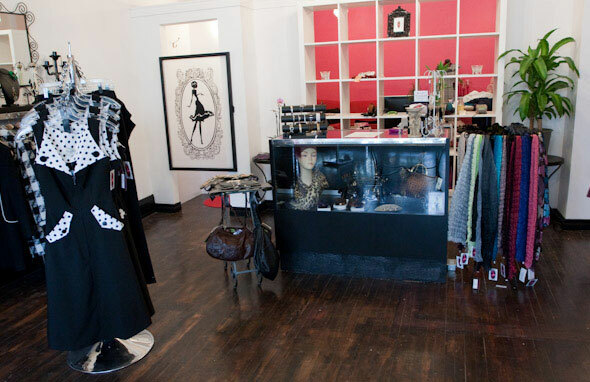 The store also stocks some vintage-inspired pieces and purses that would warm the tattooed heart of any rockabilly chick, including a Crybaby -esque number by LA brand Bettie Page ($249). For those who want a more modern piece for night-time adventuring, there's a slinky brown tunic sprinkled with delicate chain from Adala ($99), or Pecas' sequined gold tank ($79). 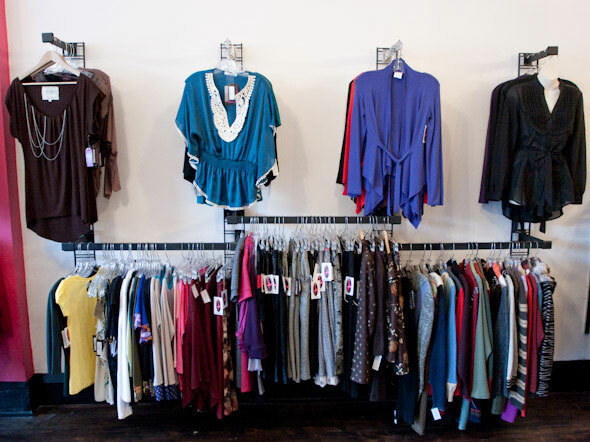 There may not be many somewhat decent clothing stores in the Junction, but now there's one more.